All content within our website are � Copyright 1992 - 2012 by Westweald Falconry. All Rights Reserved. 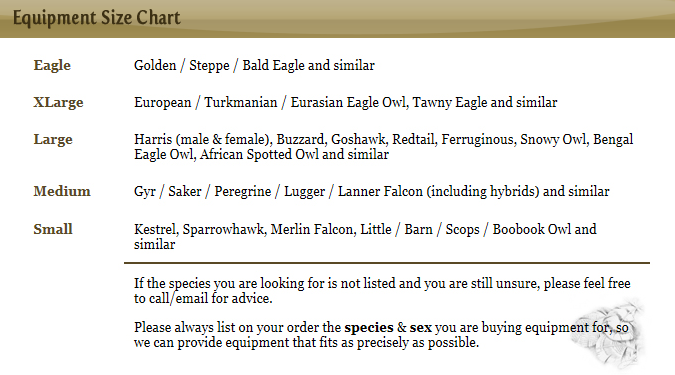 Reproduction in any form without prior written permission from Westweald Falconry is forbidden. Please contact us if you would like to use any content such as text or pictures. If it is found that any media copied from our website is being used without permission we will consider taking legal proceedings.